In a recent report, European consumer lobby group BEUC calls on the Brussels EU to increase regulations on food supplements in Europe. Absurdly claiming that consumers are supposedly exposed to "potentially serious side effects" when using them, it demands the harmonization of European law to cover all types available. But while BEUC attempts to portray its analysis as trustworthy and independent, the fact is that, over the last financial years, the lobby group has been supported by billionaire currency speculator George Soros and the Brussels EU. Stating that it represents and defends the interests of European consumers, BEUC professes to investigate Brussels EU decisions likely to affect them. In the area of nutrition, however, despite widespread evidence that the nutrient content of our food has fallen substantially over the past decades, BEUC has historically taken the scientifically archaic position that most consumers should not need supplements and that a balanced diet should provide all the necessary nutrients. Notably, therefore, BEUC and its officials were prominent advocates of the restrictive Brussels EU 'Food Supplements Directive' that entered into force in Europe in July 2002. Deeply opposed by European natural health advocates, the setting of Europe-wide maximum permitted levels for vitamins and minerals in supplements - which BEUC is now demanding - is a stated goal of this dictatorial legislation. Tellingly, while BEUC argues in favor of increased regulations for food supplements, it conversely declares that it wants "better access to medicines". "consumers should be able to get the right drugs at the right price and the right time." Complaining that consumers' access to medicines is "seriously hampered", it asserts that hospitals and pharmacies are running out of drugs that, supposedly, have "no alternative" available. BEUC simultaneously receives an annual grant of €1.4 million from the construct. Over the last financial years BEUC has been supported by the so-called Open Society Foundations, the international grantmaking network set up by currency speculator George Soros. A multibillionaire investor with a long history of engaging in morally dubious currency speculation schemes, Soros' alleged role in sparking the 1997 Asian economic crisis led to a group of southeast Asian countries calling for him to be prosecuted as a criminal. But Soros is hardly BEUC's only controversial supporter. 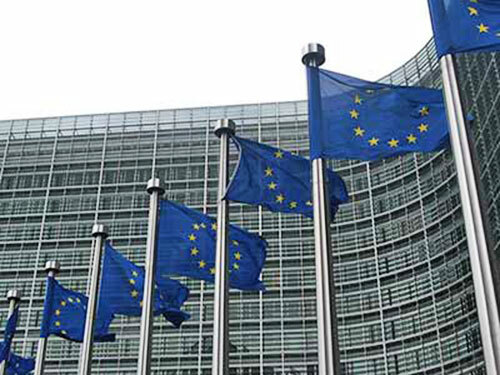 Significantly, as with many lobby groups based in Brussels, BEUC's office is conveniently located only a few streets away from the Brussels EU Commission's vast Berlaymont building. ...all have their biographies on its website. Given these facts, natural health advocates may well shake their heads and interpret BEUC's demands for increased regulations on food supplements as doing the bidding of its masters. After all, receiving support from an organization run by a multibillionaire currency speculator, pharma investor, and convicted insider trader is hardly consistent with the values and image that BEUC tries to project of itself. Similarly, taking money from the very same political construct that it claims to be defending European consumers' interests from clearly disqualifies BEUC from any credible claim to independence. Seen in this light, its description of itself as "The Consumer Voice in Europe" is, to say the least, highly questionable. With the demise of the Brussels EU now visibly underway, the time has come to look behind the smoke and mirrors that have deceived the people of Europe for well over half a century now. If, based on what they see, European consumers conclude that BEUC is not the solution but part of the problem, it will only have itself to blame.